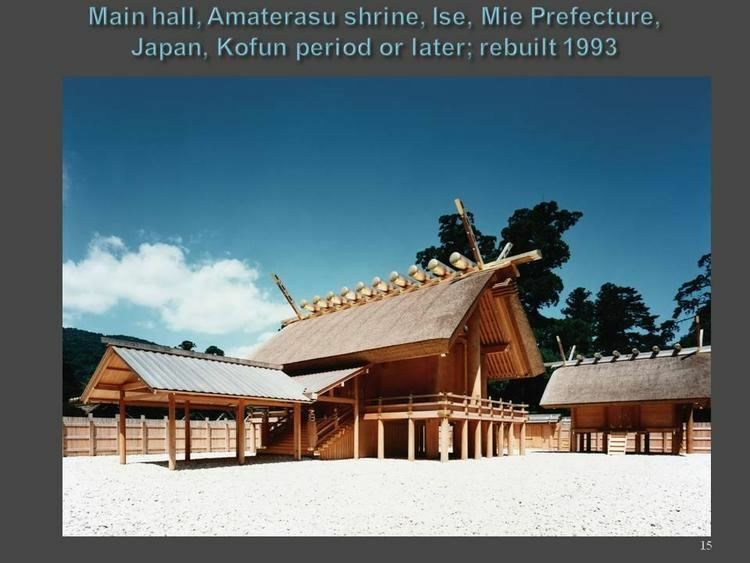 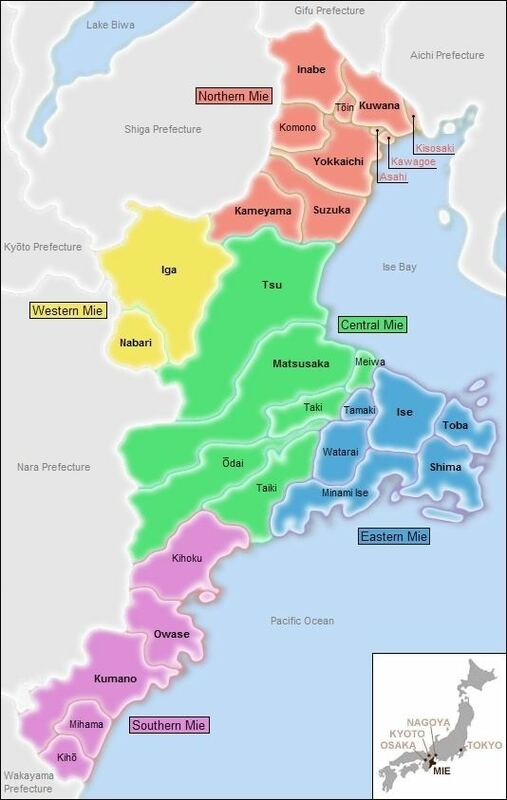 Until the Meiji Restoration, the area that is now Mie Prefecture was made up of Ise Province, Shima Province, Iga Province and part of Kii Province. 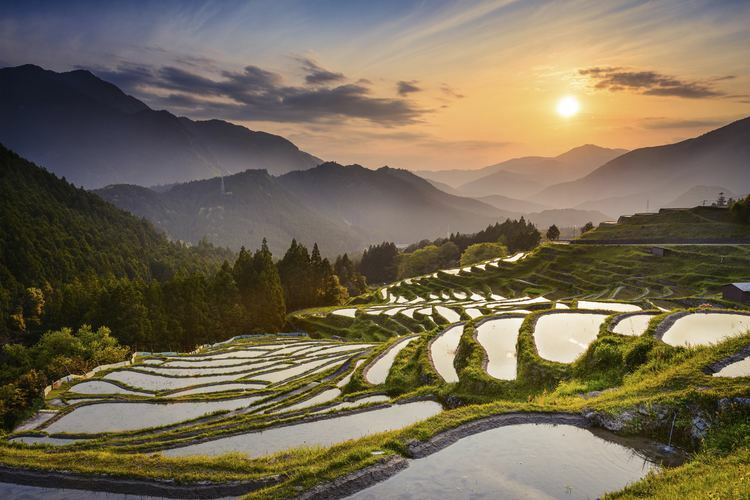 Mie Prefecture forms the eastern part of the Kii Peninsula, and borders on Aichi, Gifu, Shiga, Kyoto, Nara, and Wakayama. 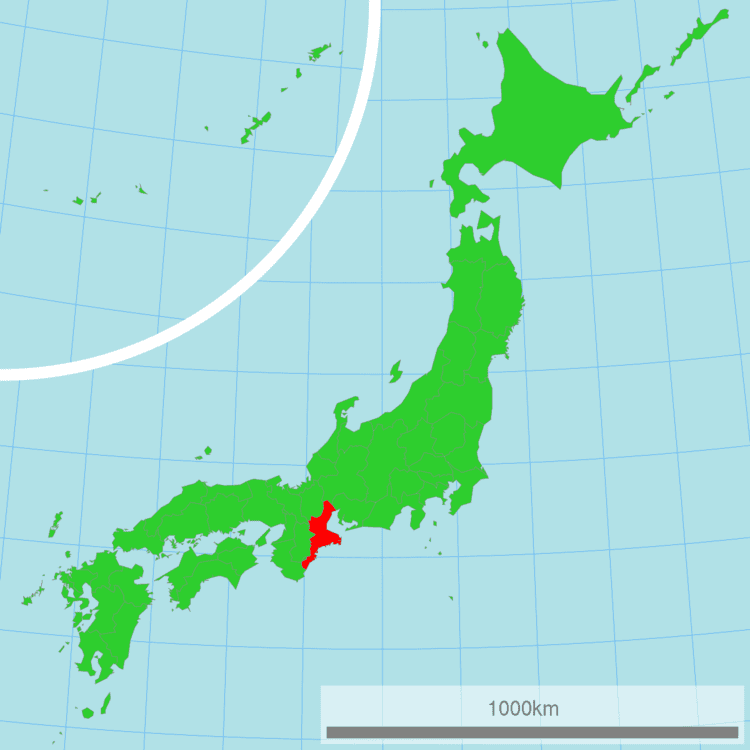 It is considered part of the Kansai and Tōkai regions due to its geographical proximity to Aichi Prefecture and its cultural influence from Kansai, such as the fact that Kansai dialect is spoken in Mie. 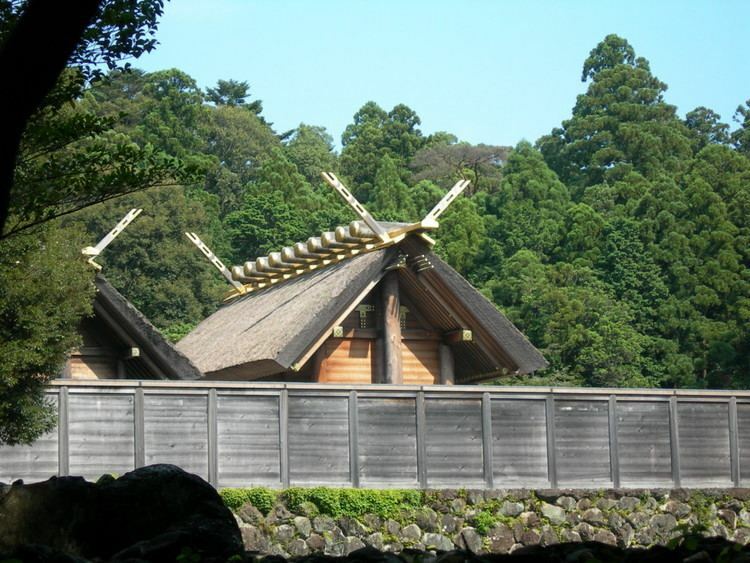 Traditionally, though, the Iga region of Mie is considered to have always been a part of Kansai.